Restylane 1ml is a sterile, transparent gel of stabilized hyaluronic acid of non-animal origin. Restylane 1ml is supplied in a glass syringe with a Luer lock fitting. Restylane 1ml is intended to be used for facial augmentation. 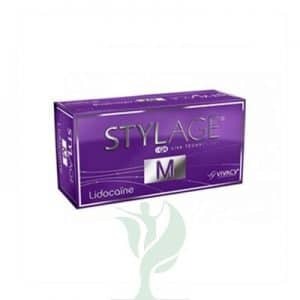 It is recommended to be used for correction of wrinkles and for lip enhancement. It should be injected into the middle part of the dermis layer. For facial areas with limited soft tissue support and soft tissue cover, e.g. the periorbital region, injection into the subcutaneous fatty tissue or supraperiostal administration are recommended. Restylane 1ml is only intended to be administered by authorized personnel in accordance with local legislation. Restylane 1ml got a head start on other dermal fillers when it came onto the market in Europe in 1996, and was then approved by the FDA for injection within the dermis back in 2003. Swedish manufacturer Q-Med knew they had a winner as Restylane 1ml gained popularity. Many patients saw Restylane 1ml as a great alternative to using muscle paralyzers to treat their wrinkles. When your patients purchase Restylane 1ml treatments from you, they are pleased with their smoother, younger-looking, more refreshed skin. 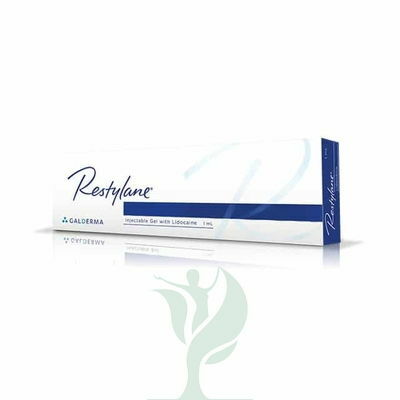 Restylane 1ml is an injectable gel made of hyaluronic acid. Since hyaluronic acid is normally found within the human body, many patients see Restylane 1ml as a relatively natural way to eliminate wrinkles. Hyaluronic acid works by rehydrating and adding volume to the patient’s skin, which fills in hollows and smooths out wrinkles.